Truth Wins Silver AND Gold at the AAF District 2 ADDYs. Press On is set to press on to the American Advertising Federation's National competition of The American Advertising Awards (The ADDYs). 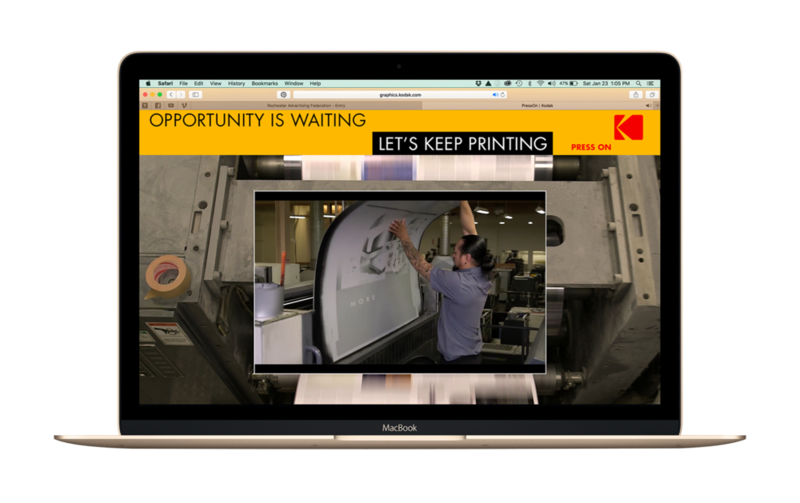 At the District 2 competition, the campaign we produced for Kodak’s Print Services Division picked up a gold in the integrated campaign category and silver and in the print campaign category. High fives to the team and our awesome clients are in order! Bravo to our fellow Rochester winners who won in this especially esteemed district, which covers New York, Pennsylvania, Delaware, Maryland, and Washington, DC. See you at Nationals on June 7 in Anaheim, California.